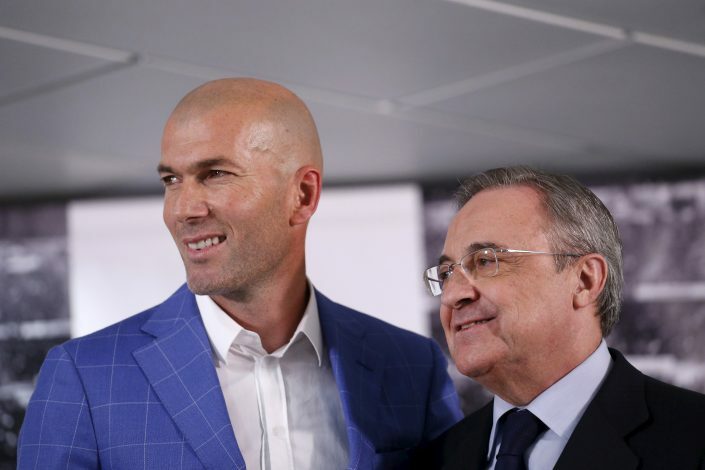 Manchester United and Real Madrid are set to be involved in four major deals between them in the upcoming summer transfer window, according to reports in Spain. Arguably two of the biggest football clubs on the planet, these two European powerhouses look set to conduct some serious transfer business this summer, which would involve the likes of United’s David De Gea, and Real’s Keylor Navas, James Rodriguez, and Alvaro Morata, as per Spanish news outlet Sport. 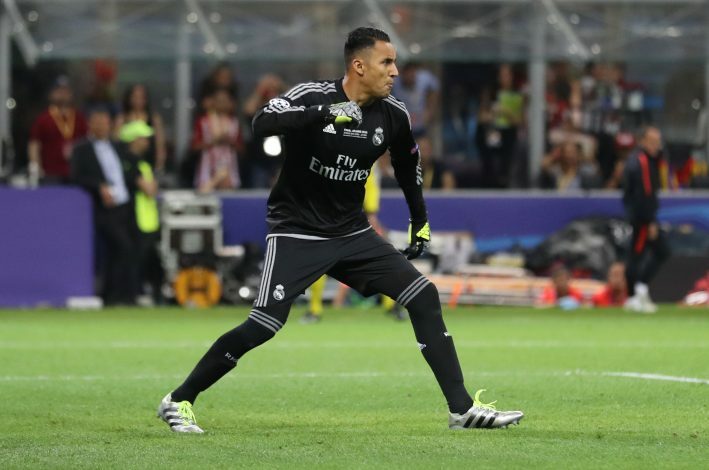 Real Madrid have been in the pursuit for De Gea’s signature for quite some time now, and the Spanish international almost returned to Madrid in the summer of 2015, in a swap deal which would have seen Keylor Navas move to Old Trafford. However, this deal failed to materialise due to a broken fax machine, and both keepers remained at their respective clubs. But that could change this summer, as Jose Mourinho is ready to let go of his star man between the sticks, so as to generate cash to bring in a goalkeeping replacement as well as other outfield reinforcements. Along with Keylor Navas, Colombian sensation James Rodriguez is also expected to make the switch from the Spanish capital to the city of Manchester. The playmaker has been struggling for game time at the Bernabeu all season, and is desperately seeking an exit, with a move to Manchester United his most preferred one – something his agent Jorge Mendes, who also represents Mourinho, will ensure at the end of this season. 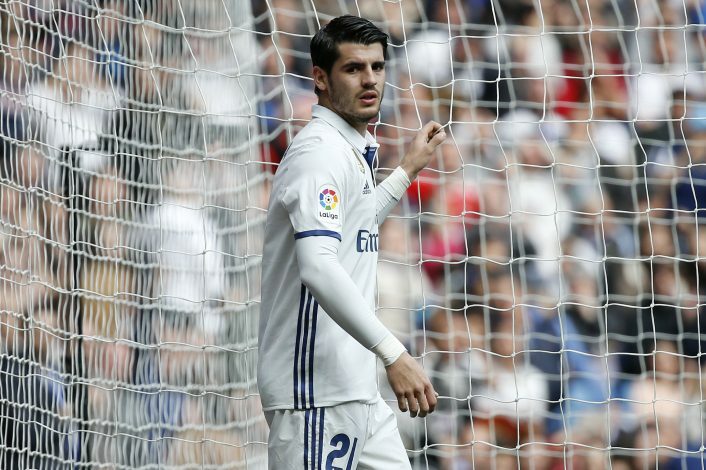 Lastly, Alvaro Morata, who has also found minutes on the pitch hard to come by, is also being targeted by the Special One, as he looks to fill the massive hole left in the Premier League giants’ strike force by an injured Zlatan Ibrahimovic. Sport values Navas at €20m, James at €75m, and Morata at €70m, but if Manchester United do end up meeting the aforementioned price tags to sign this trio, most of it should be retrieved with the sale of De Gea, who is expected to surpass the world transfer record fee for a goalkeeper when he returns to his homeland. Written by Kunal Kambli. Tweet to get in touch with him. Jose Mourinho is going to make a great great mistake by not taking James Rodriguez. In the mid field he is a super player. He psgould not let join Bayern Munich. It will be a silly mistake like LvG.